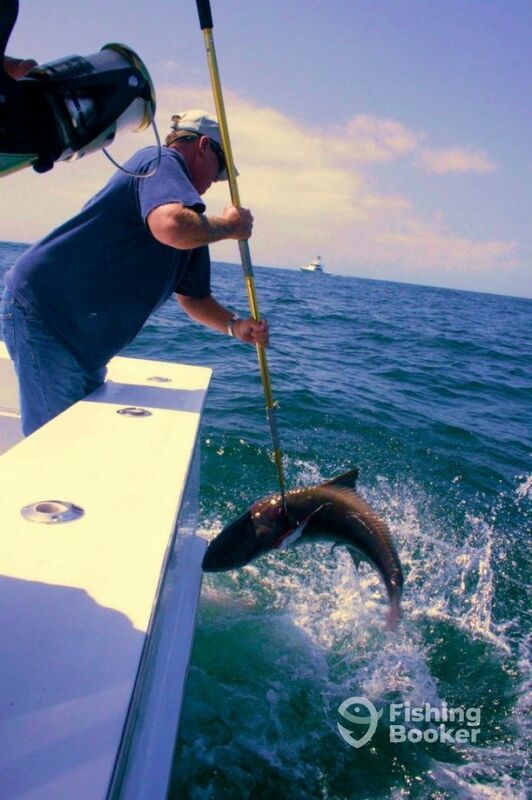 Cobia fishing is a wonderful Springtime opportunity for devoted anglers as well as family fishing FUN!! The migration begins in mid March and is gangbusters by mid April. Cobia run between 20 to 50 pounds. As one of the first fish to show up they are a welcome site to anglers along the Gulf Coast. Fishing for schools of migrating Cobia is the most exciting type of fishing there is. It pits angler against fish. We begin by riding along the beach in 30 to 60 feet of water while looking or scanning the surface until someone yells “There he is!!”. Then the fun begins. The boat must first get in the best position for a cast. The angler than reels up a live bait or a jig to be ready to present to the fish. 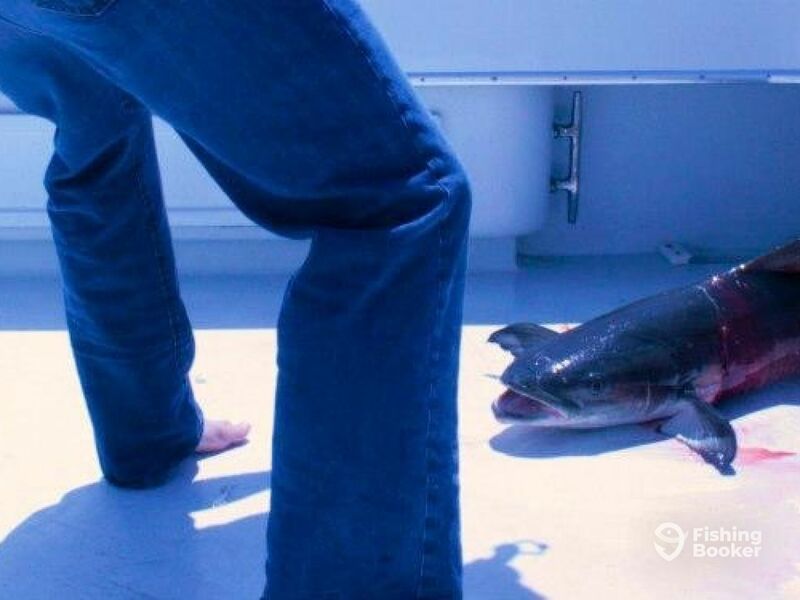 When the Cobia sees the bait they will charge up and roll on it. The angler gets to see all of this. It’s the best bite in the Gulf!! Captain Chris Garner is a Montgomery, Alabama native. He started working on a fuel dock in 1985 when he moved to Orange Beach. John Stewart, one of the local captains introduced Chris to the beautiful waters of the Gulf of Mexico and let him go on commercial trips. His first job as a captain was aboard the Miss Mary IV. And when a few years later Chris met Paul Kell and started working for him as the captain of the High Cotton, they built a great working relationship. In 2012, Chris acquired the High Cotton from the Kell family.